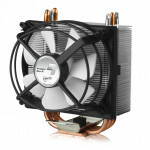 SAPPHIRE Technology, best known for its world leading graphics solutions, has just started shipping its first CPU cooler. 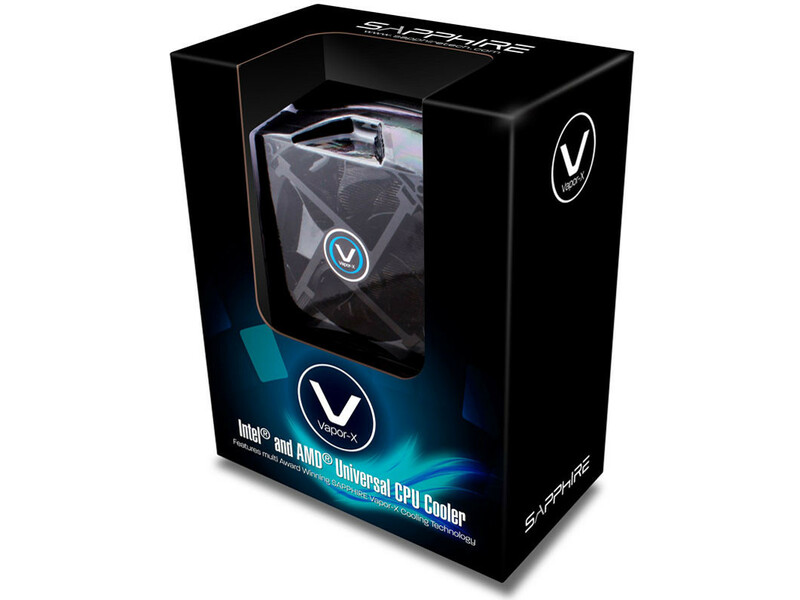 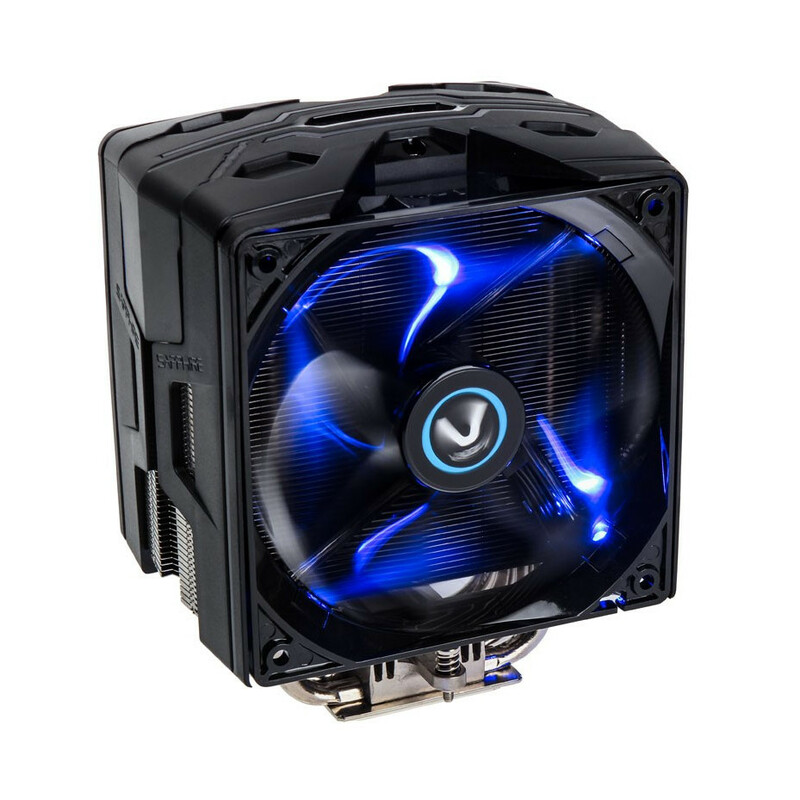 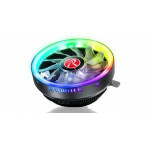 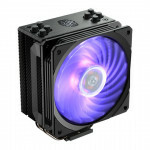 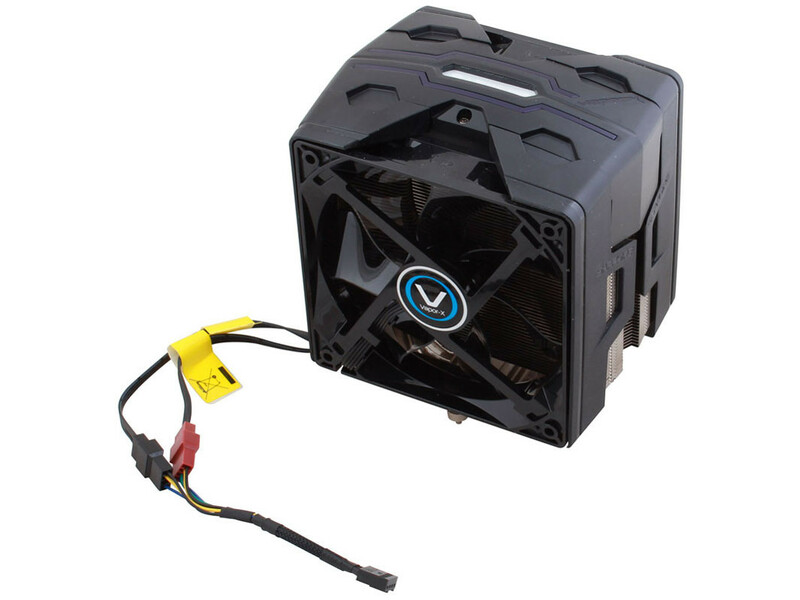 Designed for the enthusiast and based on the company`s award winning Vapor-X technology, the extremely efficient low-noise cooler features dual fans, a rating of 200 watts and a universal mounting for AMD or Intel CPU types. 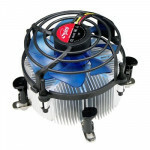 SAPPHIRE pioneered the use of its vapour chamber cooling technology for enthusiast computer components, known as Vapor-X, with the introduction of its first ATOMIC graphics card late in 2007. 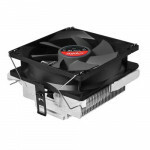 Since then the technology has been used in several generations of enthusiast graphics cards where the more efficient cooling allows for greater performance, as well in a range of graphics cards with the Vapor-X brand that have the reputation for quiet and cool operation. 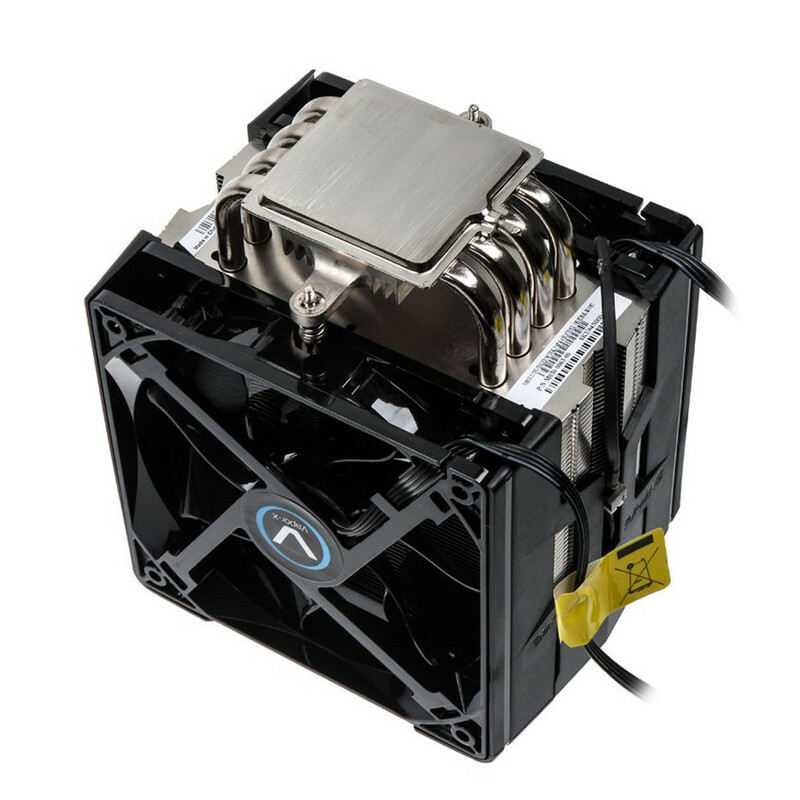 Now SAPPHIRE has applied Vapor-X technology in a SAPPHIRE original and exclusive design for its first universal CPU cooler. 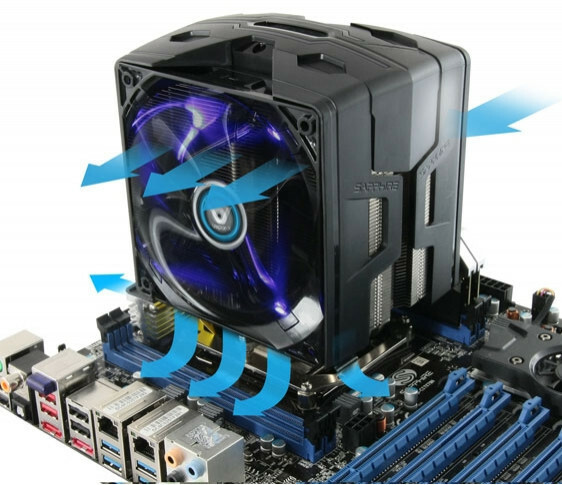 In a similar configuration to its graphics cards, the vapour chamber is in direct contact with the CPU surface to accelerate the flow of heat away. 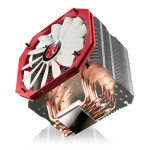 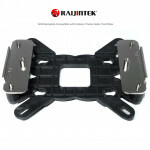 The heat is then carried away by a multi-heatpipe array and cooling fins. 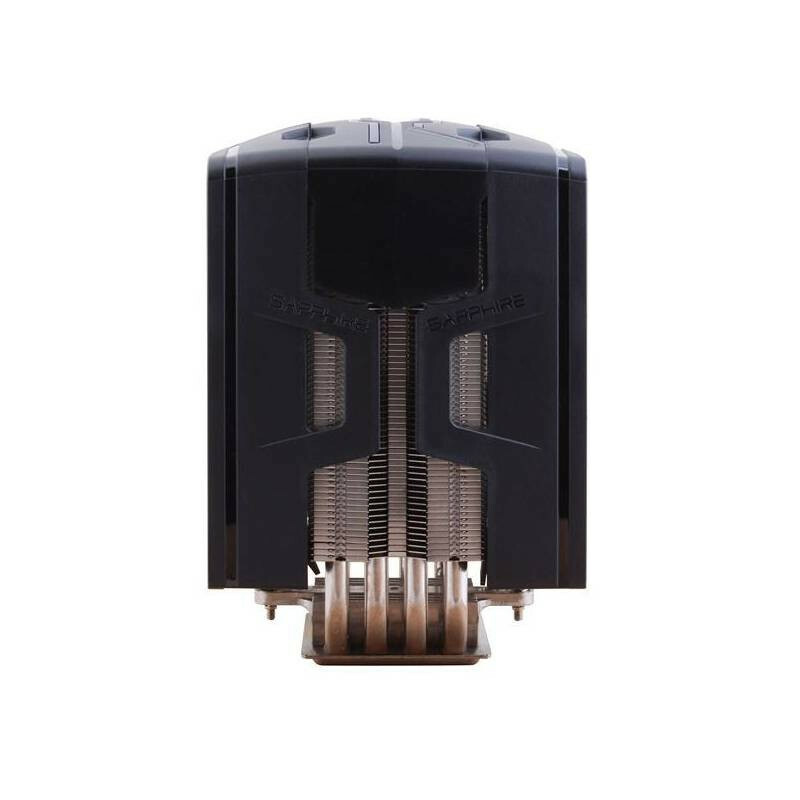 Final heat dispersion is achieved by two fans, each with aerofoil section blades designed for efficient airflow with low noise, similar to those used on the highly acclaimed SAPPHIRE Dual-X series of graphics cards. 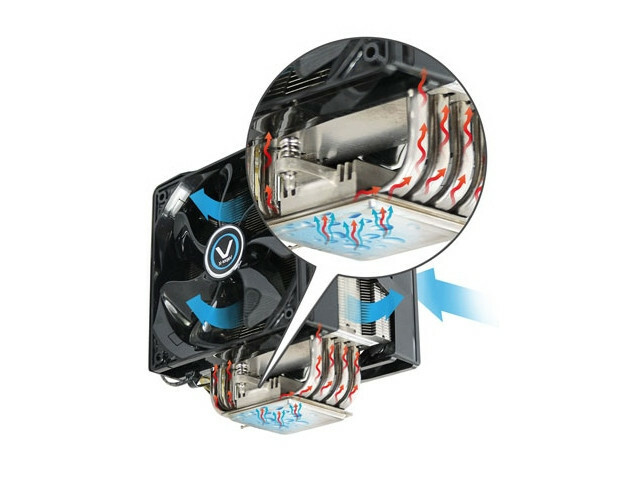 The Vapor-X solution results in a high cooling efficiency designed to cater for 200Watts, more than enough even for enthusiasts overclocking the latest CPU types. 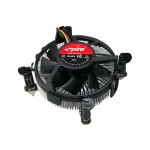 When operating with lower power requirements, fan speeds can be very low, keeping noise levels to a minimum.